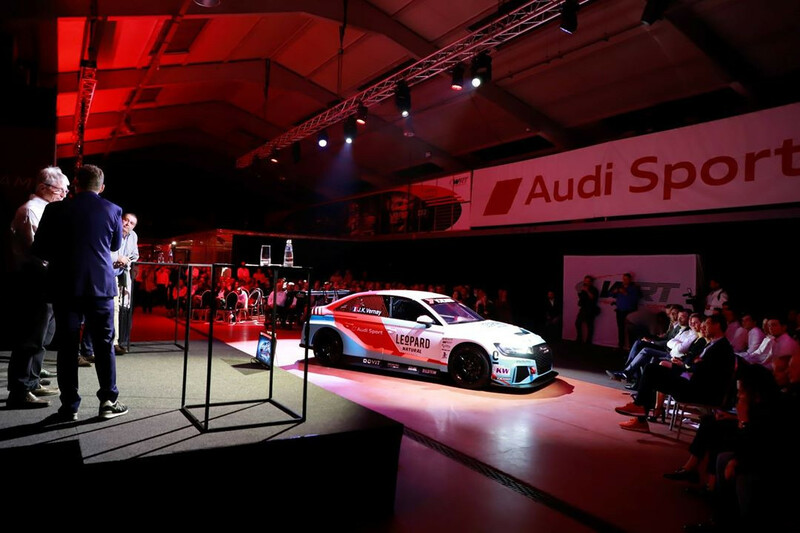 Tom Kristensen and John Hindhaugh presented the Team WRT 2019 racing programme in a lively and crowded media event held Thursday evening at its headquarters in Baudour. For its tenth year of activity, the Belgian squad is stepping up its effort, adding a third pillar, the prestigious DTM, to GT3 racing, its traditional core programme since the inception of the squad in 2010, and TCR racing, successfully added to the portfolio in 2016. 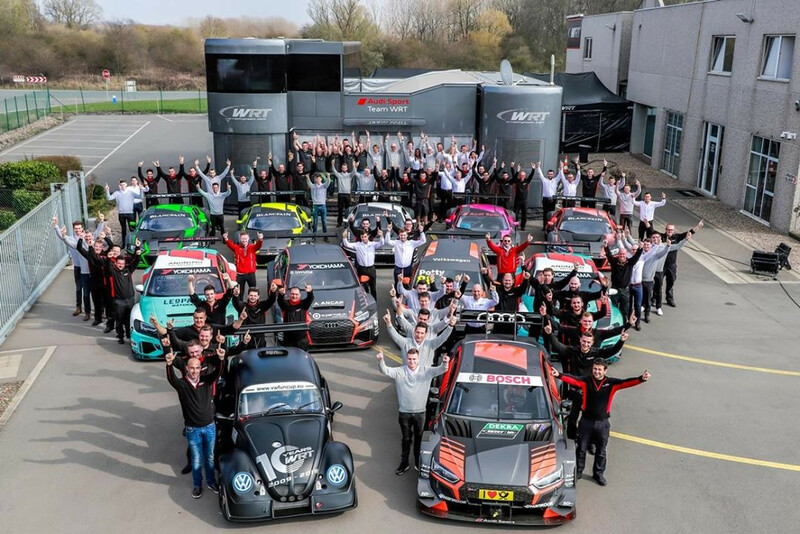 The 2019 season will mark the debut of Team WRT in DTM, a series that was born as German touring car championship in 1984 and has become one of the top series for tin-top cars at global level. DTM starts into its 33rd season this year and sees the introduction of new technical rules, with more powerful 2-litre turbocharged engines. Under the colours of WRT Team Audi Sport, the Belgian squad will be one of the four teams fielding the Audi RS 5 DTM. The team’s first announced driver is South Africa’s Jonathan Aberdein (21), a talented young driver that will make his debut in the competition after a successful career in single-seater formulae, with a title in the UAE F.4 and, most recently, a campaign in the FIA F.3 European series, under his belt. The other driver will be announced very shortly. One more year, the Belgian Audi Club Team WRT will be one of the top forces on the international GT racing scene, with the Blancpain GT Series being again the core of its racing programme. The Belgian squad has been present in the SRO-promoted series, the most well-attended and competitive GT series in the world, since its inception in 2011, collecting no less than 22 titles. In 2019, the Belgian Audi Club Team WRT will enter three 2019 Audi R8 LMS in the Endurance Cup and four in the Blancpain GT World Challenge Europe, the new denomination of the former Sprint Cup, adopted to ensure consistency with the similar Challenges in America and Asia. In the World Challenge Europe, two cars will be entered in the Pro Cup for Dries Vanthoor-Ezequiel Pérez-Companc and Charles Weerts-Christopher Mies. Ezequiel Pérez-Companc (24) is the latest representative of a well-known Argentinean racing family and has already a very successful background in GT racing. He will be associated with the fast Dries Vanthoor (21). Charles Weerts (18) has made his GT debut at the last FIAGT Nations Cup in Bahrain and is regarded as one of Belgium’s rising stars. He will team-up with expert and multi-champion Christopher Mies (29), who is embarking in its 9th season with the team. Two Audi R8 LMS will be entered in the Silver class, for a quartet of talented new-comers to the team. Dutchman Rik Breukers (20), who had a storming start of the season with wins in the Dubai, Daytona and Sebring prestigious endurance races, will team up with Colombian Oscar Tunjo (23) who joins with a solid background in single-seaters but also GT thanks to his successful entry in the 2018 ADAC GT Master, already with the four rings brand. On the other Silver car, Australian GT star Shae Davies (29) will make his international debut alongside British teenager and 2018 McLaren Autosport BRDC Young driver Award winner Tom Gamble (17), who comes from single-seaters but has also experience in GT4. In the Endurance Cup, the three trios will be a combination of youth and experience. The Pro car will be entrusted to Dries Vanthoor and Álex Riberas, who shone throughout the 2018 season, joined by Ezequiel Pérez-Companc. 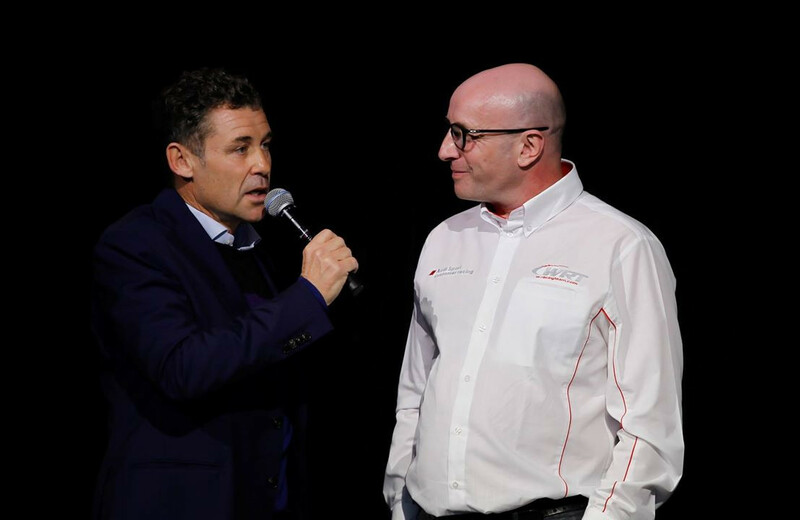 Rik Breukers and Charles Weerts will share one of the Silver cars together with Mexican Ricardo Sánchez (29), who has good experience in GT3 and LMP3 racing. On the other car entered in Silver, Shae Davies will have as team mates Frenchman Paul Petit (25) who joins from successful LMP campaigns in the ELMS, and Britain’s Alex MacDowall (28), a former ELMS GTE champion who has also raced in the FIA WEC and the WTCC. There will be more GT3 commitments for Team WRT, starting with the Intercontinental GT Challenge round at Laguna Seca end of this month, where the squad will enter one car under the colours of Audi Sport, for Christopher Haase-Fred Vervisch-Dries Vanthoor. Other IGTC commitments may follow. 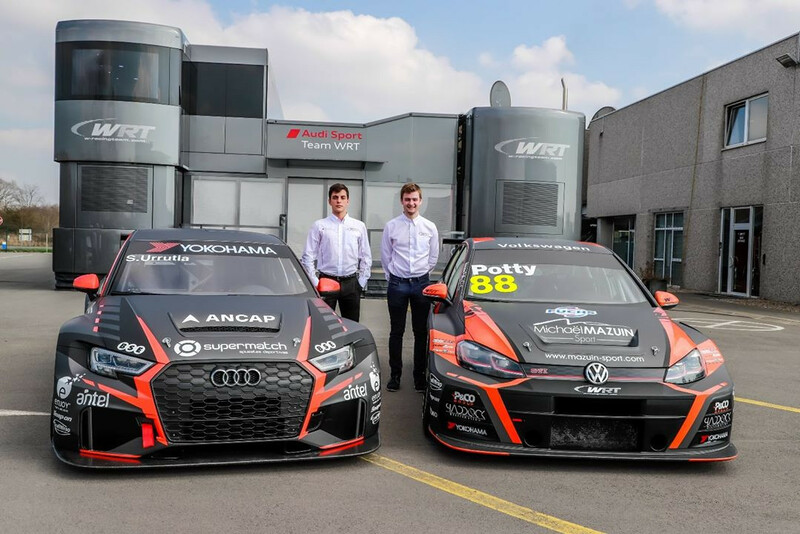 Team WRT will be also involved in three events of the VLN Langstreckenmeisterschaft series that takes place on the Nordschleife at the Nürburgring with a car for the French trio composed of François Perrodo, Mathieu Vaxivière and Emmanuel Collard. An Audi R8 LMS will also be entered in the 12 Hours of Spa for Stanislav Minsky-Steijn Schothorst-Marco Seefried. 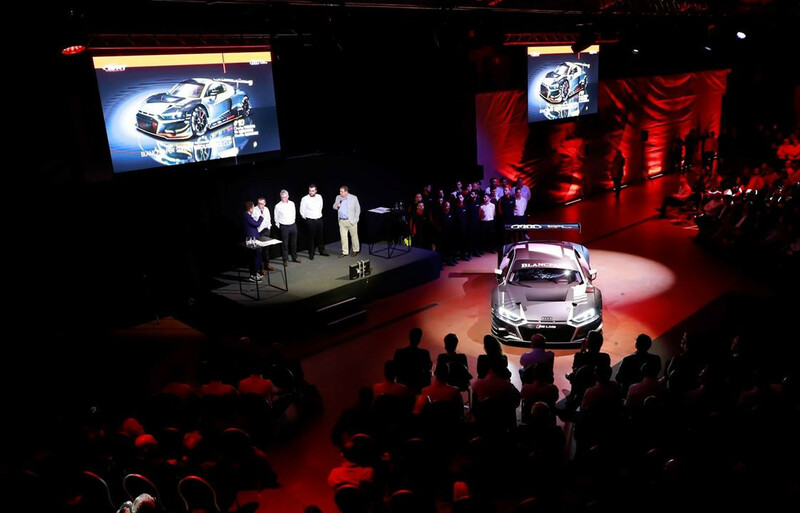 Touring car racing, revitalized by the adoption of the TCR concept, will be the third pillar of Team WRT’s 2019 racing programme. Like last year, the squad will be involved both at international and European level. In the FIA WTCR Cup presented by OSCARO, two Audi RS3 LMS entered under the colours of Leopard Racing Team Audi Sport, will be entrusted to Frenchman Jean-Karl Vernay and Scotland’s Gordon Shedden. Both the former TCR International champion and the triple BTCC champion are reconfirmed, with the objective of improving last year’s excellent results (5 race wins and a championship contender till the last event of the year), in a season that vows to be even more competitive. In the TCR Europe, which is expected to attract a +30-car entry, Team WRT will be present with a duo of ambitious young guns. Uruguay’s Santiago Urrutia (22) will make his debut in touring car racing and his come-back to Europe at the wheel of an Audi RS3 LMS after clinching twice Indy Lights runner-up honours and a Pro Mazda title in the US, while Belgium’s Maxime Potty (19), a graduate from the WRT Kart Academy, is to contest the series for the second year with a VW Golf GTi and also aiming at retaining the TCR Benelux Teams’ and Drivers’ (Vernay) titles conquered in 2018. Team WRT also plans to be present at the inaugural edition of the TCR Spa 500 early October.